As chairman and CEO of a company that helps people achieve their higher education goals, Raymond J. Quinlan also believes in the importance of lifelong learning for himself. 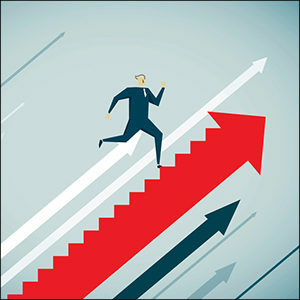 The senior leader of Sallie Mae, a publicly-traded firm that describes itself as “the nation’s saving, planning, and paying for college company,” recently enrolled in Wharton’s new General Management Program (GMP). Quinlan was seeking in-depth exposure to the latest and best thinking in business. Sanjay Rajaram, President, ImagineSys Inc.
During an initial consultation, participants identify their long-term objectives, and receive guidance in selecting the individual programs that will help them meet those goals. For entrepreneur Sanjay Rajaram, that meant choosing to focus on finance, with four programs in core business acumen (one each in leadership, strategy, marketing, and finance), and two finance electives. The founder of ImagineSys Inc., a quantitative analytics services firm that caters to Wall Street clients, realized his background in engineering and computer science wasn’t enough as his company grew. “I needed new knowledge and skills to be able to better run my business,” he says. Participants also receive executive coaching during the GMP. 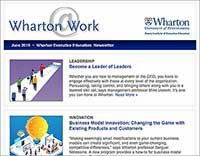 Using research-based techniques, highly experienced Wharton coaches help build and strengthen the skills and behaviors that will help them become more effective leaders. Coaching sessions are deliberately structured to build on one another and meet the personal goals identified at the beginning of the process. Rajaram plans to complete the GMP in less than a year by attending two or three programs during each visit. 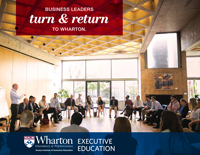 Then, he says, “It will be an honor and privilege to be a Wharton Alumnus.” This status will provide him with access to a global network of more than 95,000 alumni in 140 countries, webinars held by Wharton faculty, and Global Forums that explore timely issues with Wharton faculty, government officials, and distinguished alumni. Upcoming forums will be held in Miami, Hong Kong, and Sydney.